Welcome to the Mason-Dixon Soccer League. The MDSL is a premier amateur (adult) soccer league encompassing teams from Western Maryland, Southern Pennsylvania and West Virginia. The MDSL is affiliated with the Maryland State Soccer Association, the United States Adult Soccer Association and the United States Soccer Federation. The MDSL started in 1931 and was called the Washington County Soccer League, which included teams from Smithsburg, Hagerstown and Hancock. In 1939, the league was renamed the Mason-Dixon Soccer League when teams from other counties and from southern Pennsylvania joined. The Mason-Dixon League has had its ups and downs throughout the years. There were times when the league consisted of only four teams and fights were a big problem. However, the league has since cleaned itself up and since 1960, has had as many as fifteen teams competing in two separate divisions. Teams consist of players in their 20's to 40's whose enthusiasm for the game extends well beyond high school or college playing days. Every Sunday from the middle of August through early December, players can participate in their favorite sport in the Mason-Dixon Soccer League. 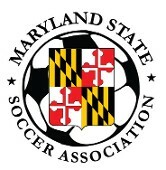 In 1993, one of Western Maryland's oldest Sports Leagues became part of Maryland State Soccer Association. The Mason-Dixon Soccer League has aligned itself with MSSA for stability and to give its membership access to the many benefits MSSA members enjoy.